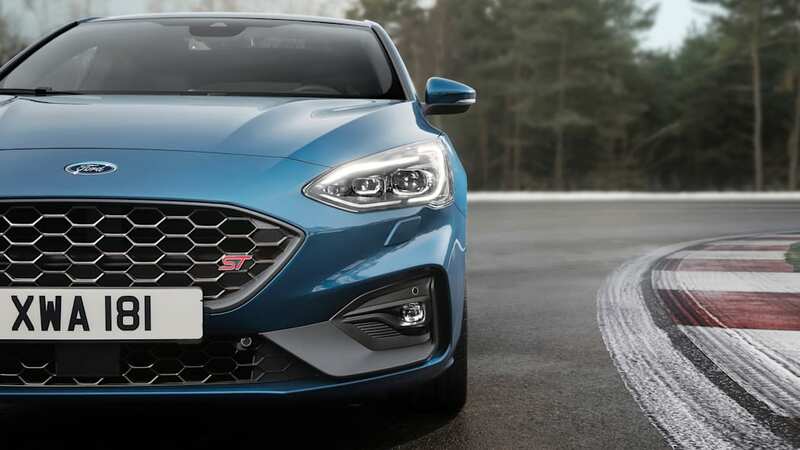 Details on the latest generation of this car, which the U.S. won't get. 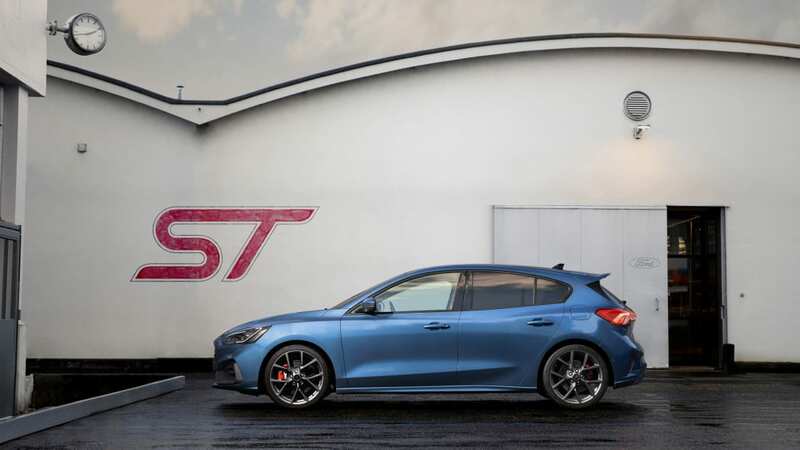 Ford Performance debuted the new Focus ST with nary a teaser image before the car's Geneva Motor Show appearance. 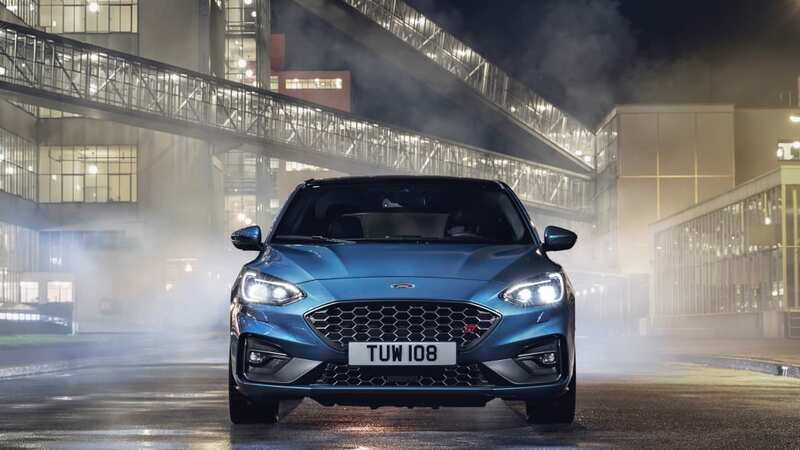 The move to Ford's C2 architecture bundles a brace of changes, starting with a larger gas motor. 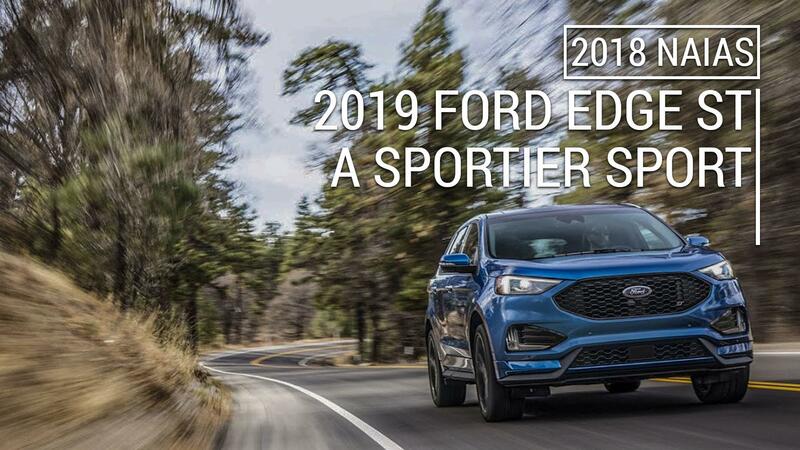 Gone is the previous 2.0-liter four-cylinder, replaced by a 2.3-liter EcoBoost putting out 276 horsepower and 310 pound-feet of torque. 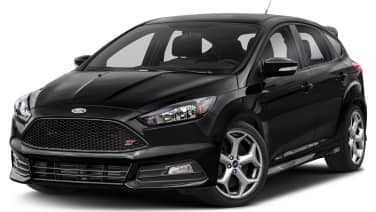 That's 24 hp and 30 lb-fit more than the Mk3 Focus ST. 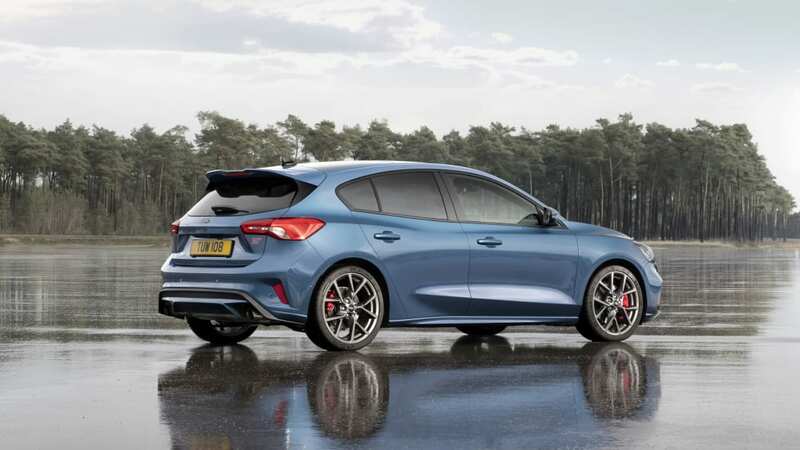 The 2.0-liter EcoBlue diesel churns out 187 hp and 295 lb-ft, the most powerful diesel ever in a Focus. 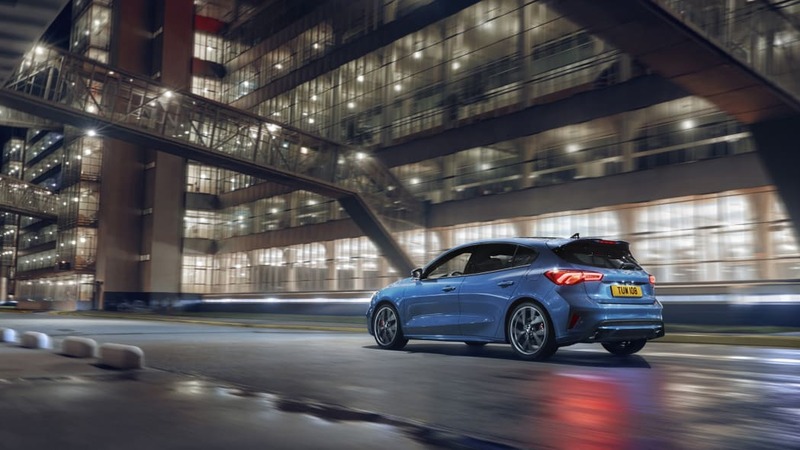 The gas engine features a twin-scroll turbo with anti-lag tech that keeps the throttle slightly open after the driver's come off the throttle, helping to maintain boost, on top of electronically-actuated waste-gates. A new air intake breathes easier, a new exhaust lowers back pressure. 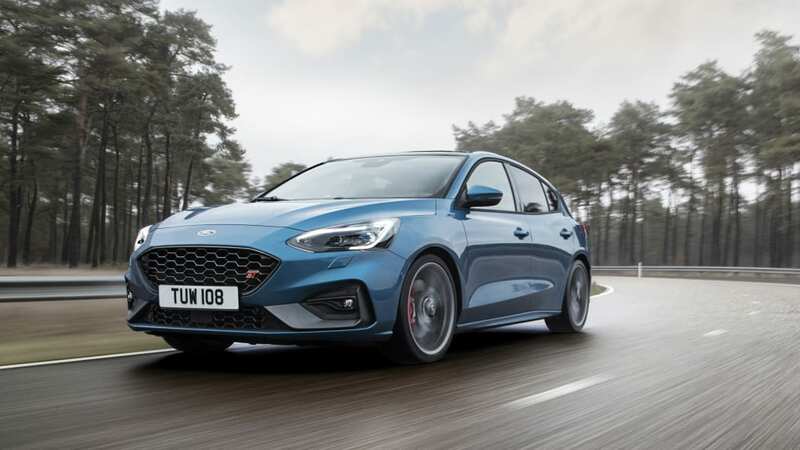 Those EcoBoost power numbers put the middle-trim Focus in line with the Hyundai Veloster N and Renault Megane R.S., but behind the Euro-spec 316-hp Honda Civic Type R. Ford expects the gas-engined hot hatch will get to 60 miles per hour in under six seconds, presumably using launch control. 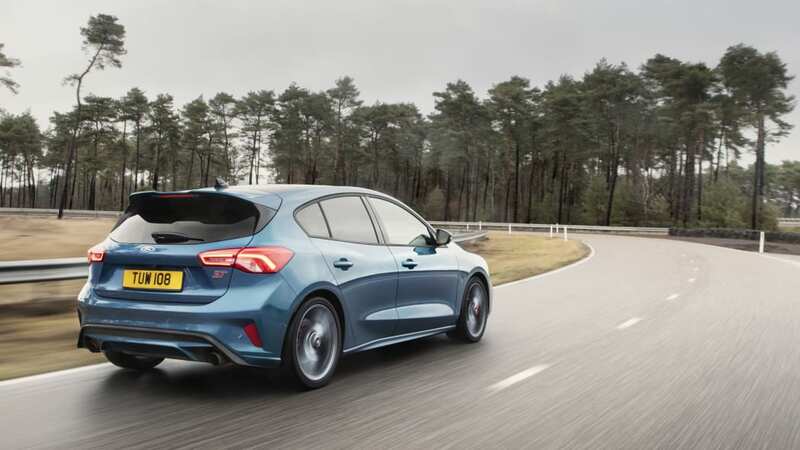 That makes it at least a half-second quicker than the outgoing model. 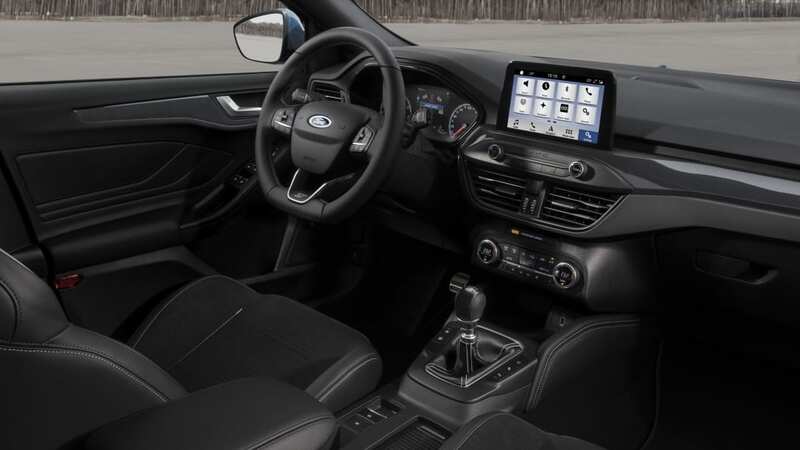 A shorter-throw six-speed manual comes standard, and can be made to rev-match with the Performance Package available on the gas engine. 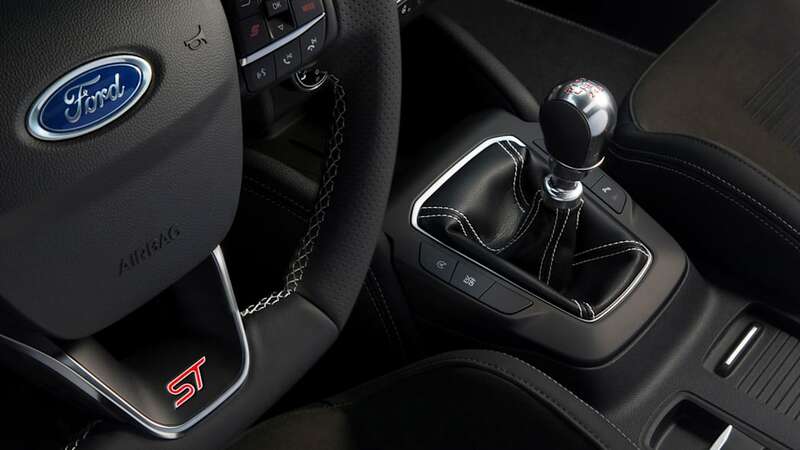 A seven-speed adaptive automatic transmission is on the options sheet. 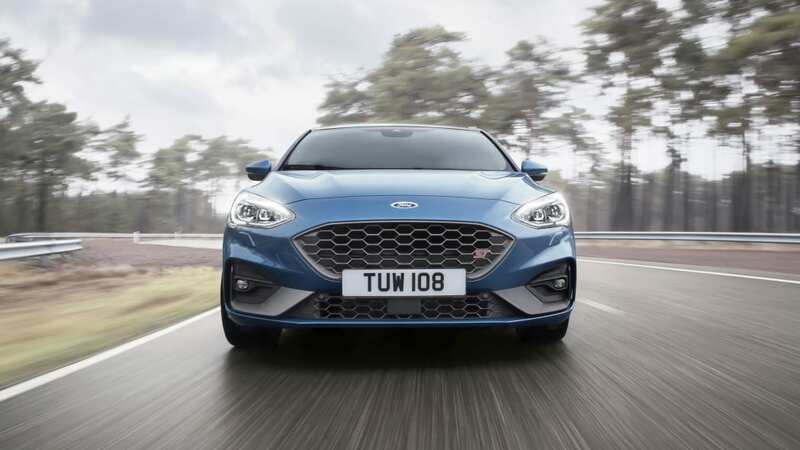 It adapts to driving styles, and Ford says it has "the ability to differentiate between road and track use." 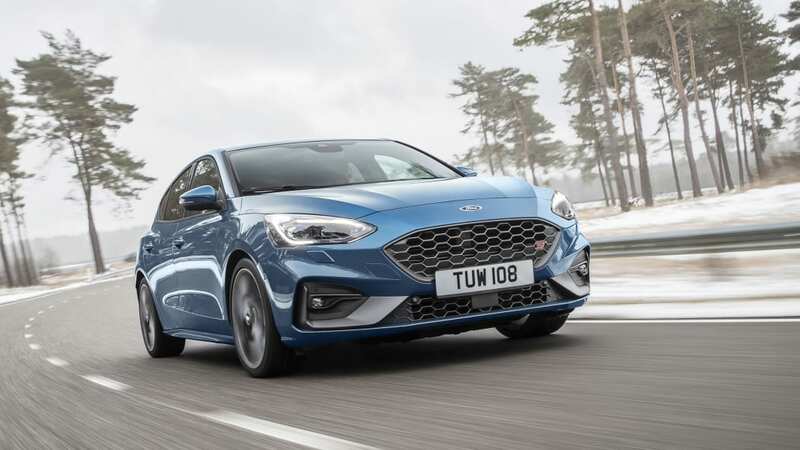 To make best use of the power, Ford installed an electronic limited-slip differential for the first time on the ST trim, but only for the EcoBoost. 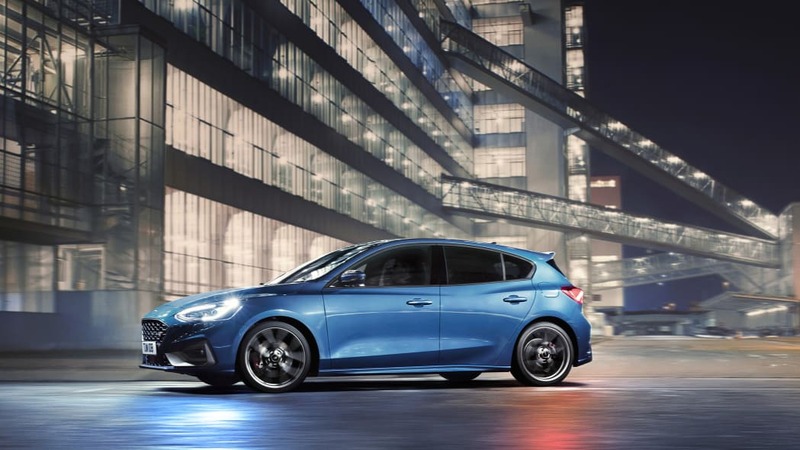 The wagon uses brake-based torque vectoring on the front wheels. 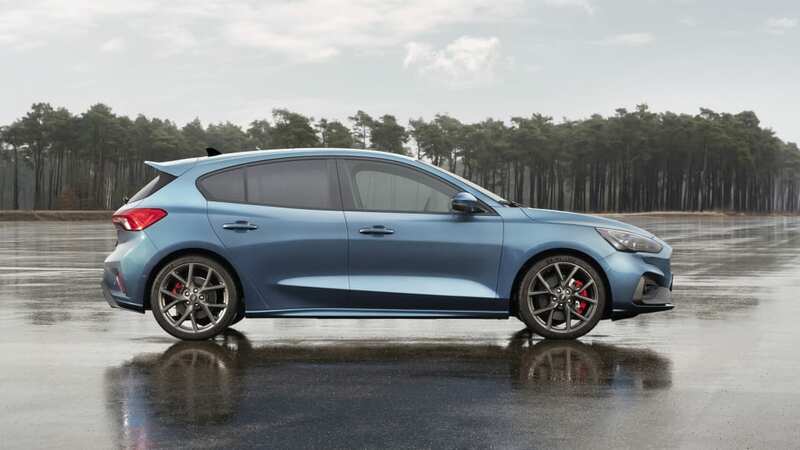 A revised suspension on stiffer springs comes with Continuously Controlled Damping on the five-door hatch, while the wagon model gets unique damper geometry in the rear to deal with a loaded cargo bay. 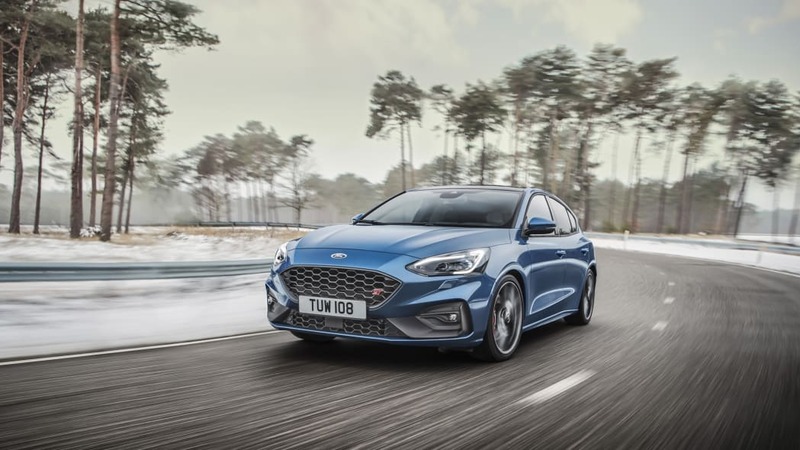 The Focus ST gets the fastest steering rack Ford has, taking just two turns to lock. Steering Torque Disturbance Reduction software for the electronic power steering works to separate torque from turning. 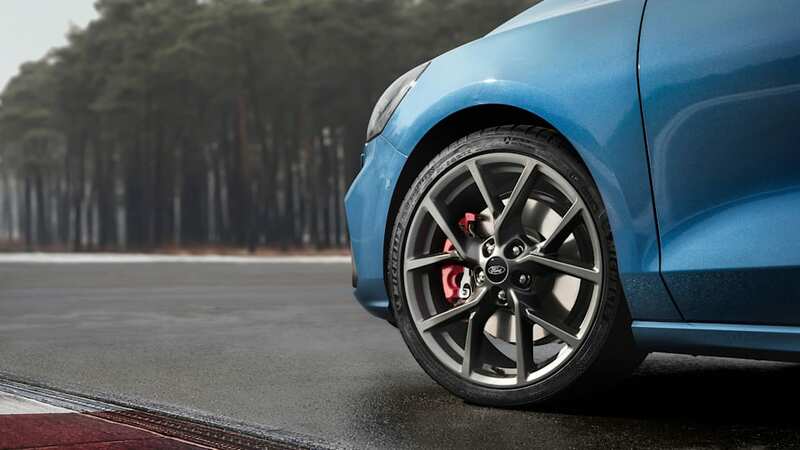 Bigger brakes sit behind new 18- and 19-inch wheel designs, and both models wear Michelin Pilot Sport 4S rubber. 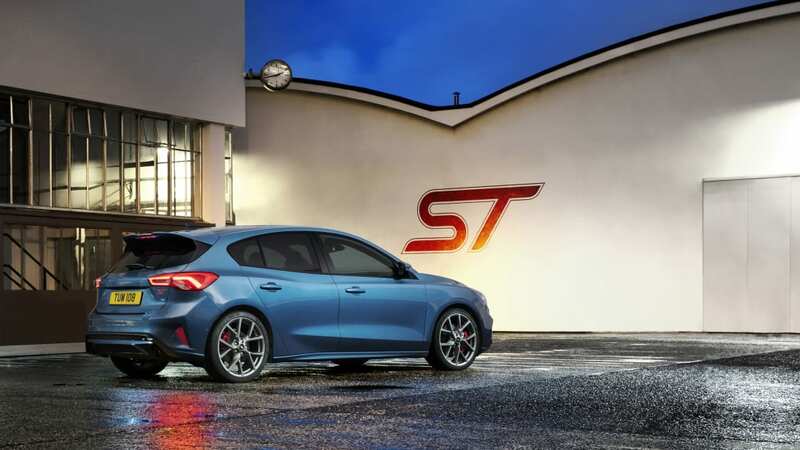 Three drive modes come standard, another first for the Focus ST. EcoBoost cars with the Performance Pack add a Track mode to Slippery/Wet, Normal, and Sport. Each mode adjusts tuning for the electric power steering, throttle, shifting, diff, damping, ESC, and electronic brake booster. 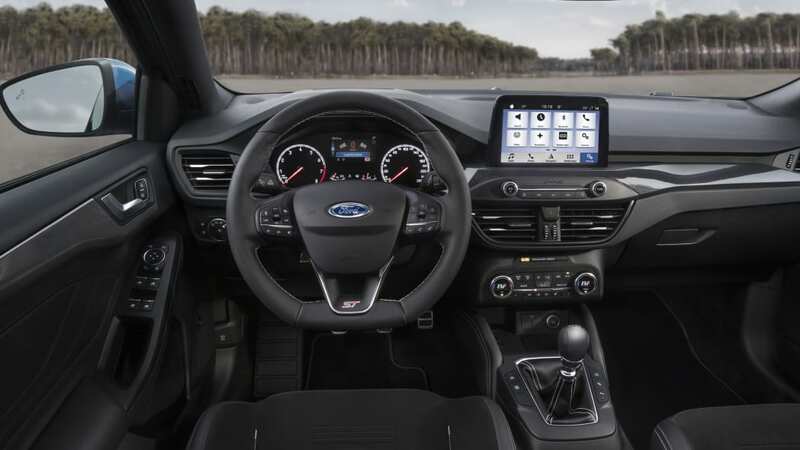 A Sport button on the steering wheel puts that mode one click away. 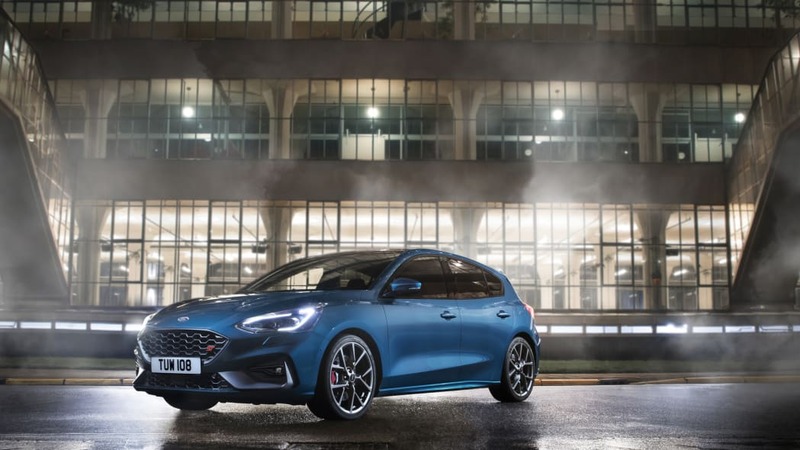 There'll again be two body styles, a five-door hatch and a wagon, both lowered 10 millimeters compared to the standard Focus. 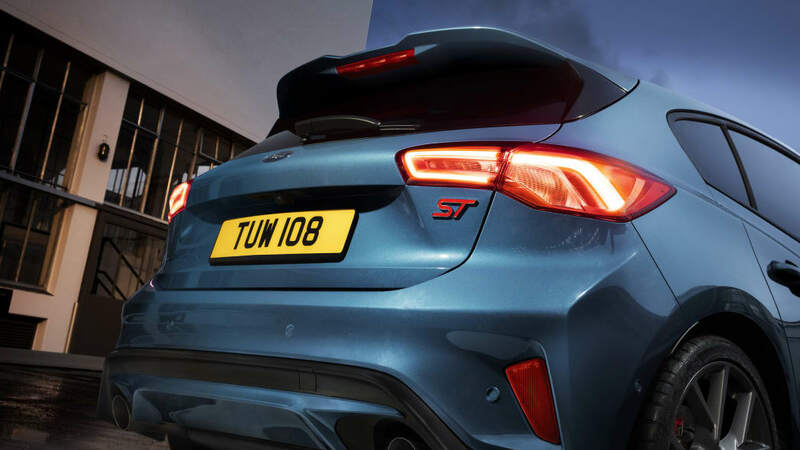 Among the color palette will be Ford Performance Blue and, as a throwback to the Mk2 Focus ST, Orange Fury. About the only surprising change to the outside is the exhaust pipes; they've been moved to the corners to allow for towing. 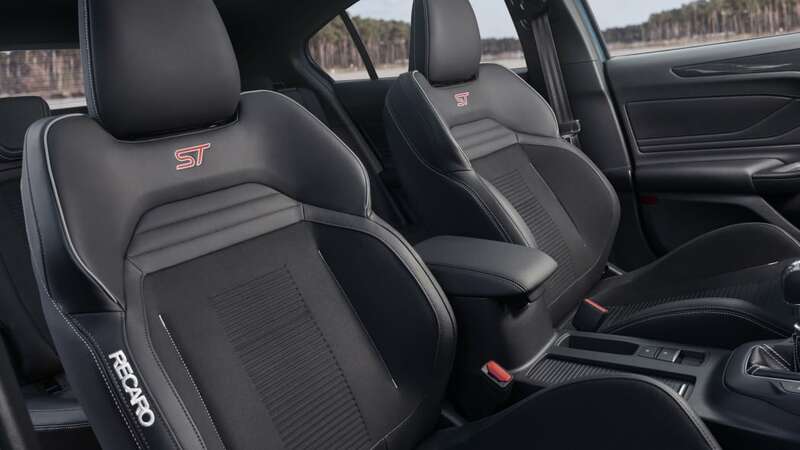 The interior gets the usual Recaro seats matched with contrasting stitching and ST badges. 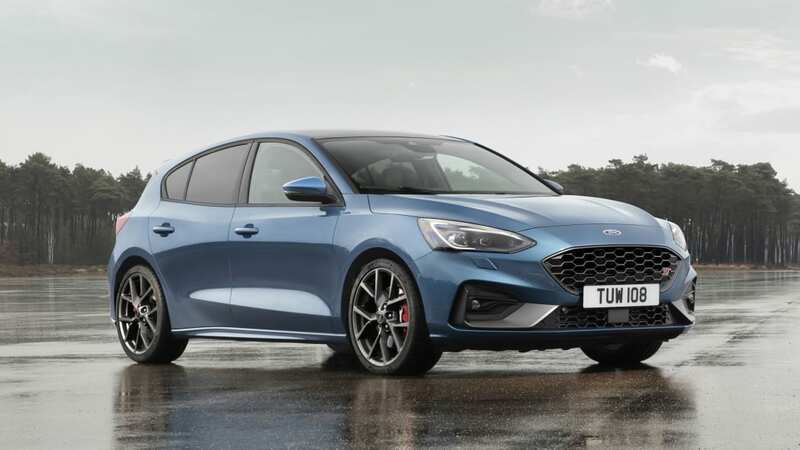 The 2019 Focus ST goes on sale in Europe sometime this summer. We still don't expect it to come to the U.S.